In the age of the “selfie,” we have come to realize that there is flattering angle for photos and a not so flattering angle. Well, chin up! The solution to that dreaded double chin has arrived. 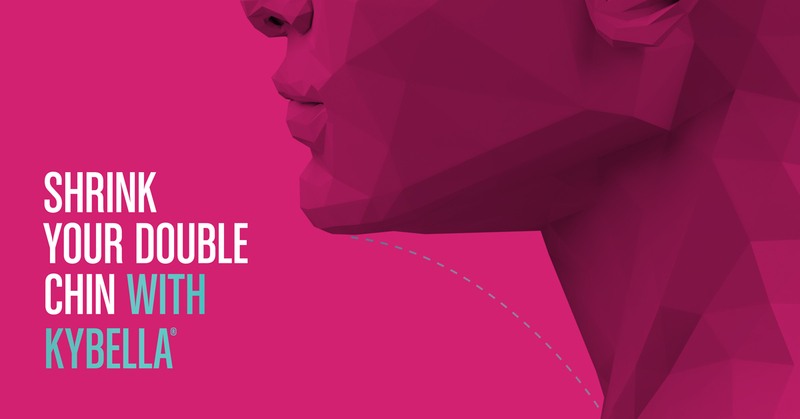 Introducing Kybella®! For those who suffer from the frustration of trying to lose fat below the chin, Kybella® is a beauty breakthrough. Kybella® is an FDA approved injectable substance designed to destroy fat cells. It’s made from a fat-eliminating deoxycholic acid found naturally in our bodies. When injected into the skin, fat cells are destroyed so they can’t re-accumulate, making Kybella® treatments effective for the long term despite future weight gain. A shot that zaps fat sounds too good to be true, right? That’s why we’re inviting you to try Kybella® and experience this innovative procedure for yourself. If you’ve tried dieting and you’ve tried exercise, it may be time to find out if Kybella® could help you finally say goodbye to that double chin. Kybella® destroys fat cells and reduces the appearance of fat below the chin. Your Plastic Surgeon will determine this at your initial consultation. If you are not a good candidate for Kybella®, there may be other options for you. For pricing, schedule a consultation appointment with our team. To schedule a consultation with one of our board certified plastic surgeons, please call 1.888.970.7546.